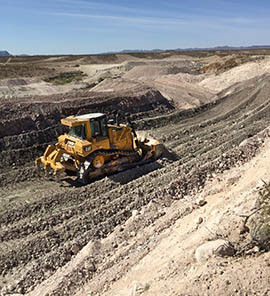 Cowboy Mining Company began operations in 1996 at our present location in southwest Texas. 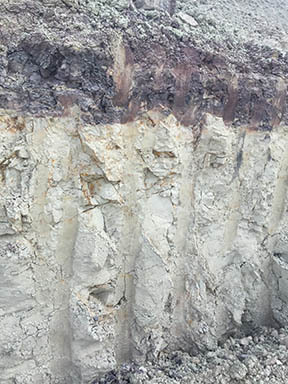 We are the sodium bentonite mining, processing and packaging division of PDSCo, Inc.
Our bentonite is processed into various bentonite products for specific groundwater, environmental and industrial applications. With a focus on quality and innovative solutions, Cowboy Mining Company and our parent company, PDSCo, Inc. work hard to meet the needs of our customers and the industries they serve. Our customer care and dependable service has created a loyal worldwide customer base. PDS is a privately held company that produces a comprehensive line of high performance drilling fluids, bentonite sealants and testing equipment. Our products support a variety of drilling, construction and excavation operations. Our staff of knowledgeable and experienced slurry technicians are available to provide site-specific slurry program design, project estimates, on-site training and technical assistance. These services help lead to increased productivity and more efficient operations. PDS creates technologically advanced, amazing products. 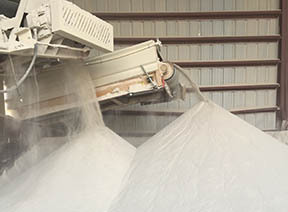 We have specialized in the production of bentonite pellets for over 30 years. Our tenacious ingenuity has led to the development of a technologically advanced, biodegradable non-stick time release coating which allows the bentonite pellets to be poured into place through standing water without sticking together or bridging. This capability provides the highest density per cubic foot of any existing grouting method – wet or dry. 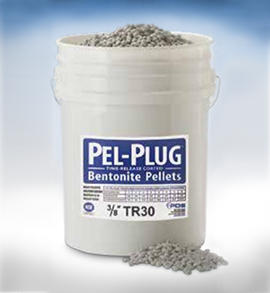 PDS Pel Plug bentonite pellets are available in 1/4″, 3/8” and 1/2″ sizes. The Pel Plug TR30 time release coated bentonite pellets can reach depths of up to 500 feet. Double coated (TR60) and triple coated (TR90) pellets are also available to further delay pellet swell times in cases of deeper water setting applications. For more information on PDS products or services call 800-243-7455 or go to pdscoinc.com. How can we help you today?